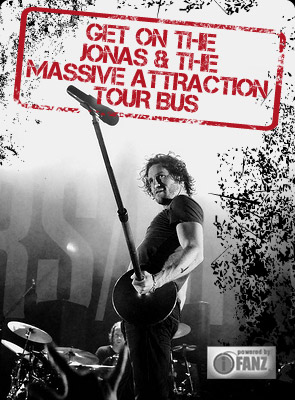 Jonas & The Massive Attraction’s new French single “Respire” rocketed up the radio charts in Quebec hitting # 5 this week on the BDS Top 100! “Respire” is also the # 2 Pop/Rock song on the BDS Top 25 in the Province and is the # 1 “Most Requested Song” on NRJ in the band’s hometown of Montreal. The BRAND NEW ALBUM “Live Out Loud” is in stores across Canada on May 14, 2013!